Deer medicine and disease ecology is a neglected area of veterinary science. My field research is based at the Alternative Livestock Research Facility at the Western College of Veterinary Medicine, University of Saskatchewan. 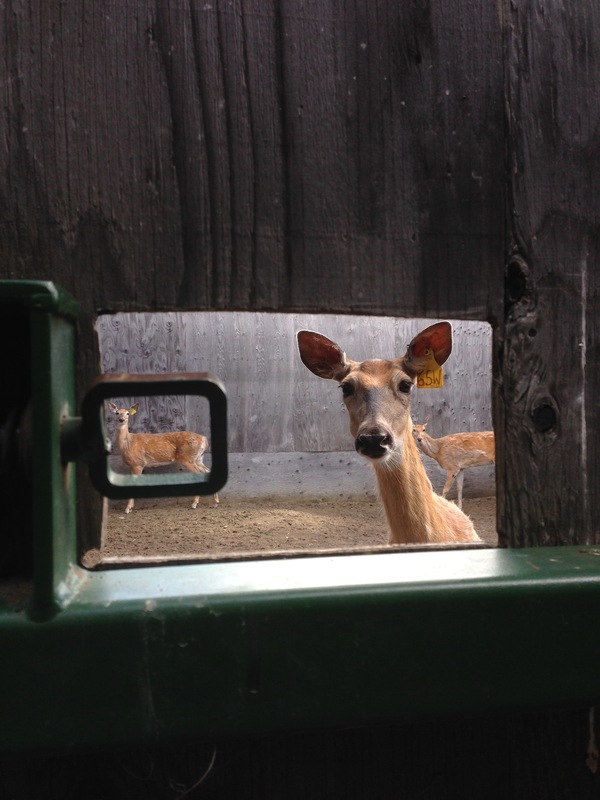 These white-tailed deer are in a holding pen waiting to enter a handling system, where blood samples will be collected and then analyzed at the University of Guelph, in order to investigate the plasma pharmacokinetics of an anti-protozoal drug. We are working at the wildlife-livestock disease interface to investigate the epidemiology and treatment of cervid babesiosis, an emerging protozoal disease of Canadian deer, and we hope that our research will contribute to evidence-based drug treatment protocols for sick animals and for disease prevention.